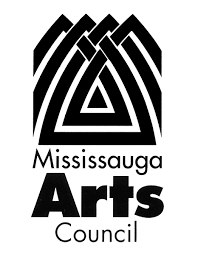 The Mississauga Arts Council is a 33 year-old not-for-profit organization that encases the collaborations of 217 arts organizations and 38,000 individual artists under one common umbrella. MAC acts as a catalyst to inspire, engage and connect opportunities within the community to encourage multi-disciplinary artists and facilitate networking in the arts scene across diverse cultures. This application is for the inaugural “MACArts Festival”, taking place on Saturday September 19th at four locations in Mississauga from 11 am – 10 pm. Programming will take place at the main stage and the amphitheatre in Celebration Square, the Noel Ryan Theatre, and the Central Library. Showcasing local multicultural talent, the one day multidisciplinary Festival will include: (1) visual art exhibitions and film screenings, including an special exhibit curated by the Art Gallery of Mississauga and short films from around the world; (2) literary readings and lectures by notable writers; (3) culinary demonstrations (including one by celebrity chef Vikram Vij who also stars on CBC's Dragon's Den); (4) live music, theatre, and dance performances; and (5) a variety of children’s activities including workshops on storytelling, painting, and pottery. The Festival will also include 20 art vendor booths, 10 restaurant vendor booths, and 4 sponsor booths. Partners include Celebration Square, the Art Gallery of Mississauga, the Central Library, the Living Arts Centre, and Visual Arts Mississauga.